Shu-Yin's Sanctuary: I Am An Online Shopaholic. Hie, my name is Tan Shu-Yin, and I am an online shopaholic. Yes, I am so addicted to online shopping nowadays. I've been spending hours in front of my laptop after Shern sleeps at night. I know I should be sleeping more since I won't be getting much sleep once 'Lil Bub is out, but I can't help it. That is what I say I'm an online shopaholic! I don't always end up buying stuff, but I do add lotsa things into my cart, although usually I don't checkout my cart. However, I am a very stringent online shopaholic. I do a lot of research before I buy anything. I make sure that the product is the cheapest, if not, one of the cheapest I could find online. I read lots of reviews, and I always read the bad reviews first. I almost always only checkout my cart when I reach the minimum amount to entitle me for free shipping. And I do this by sharing the purchase with friends. Doing online shopping makes me a more well-informed shopper. This is because I do more research, and thus read more reviews. And I always feel good when I pay less than what I have to pay in a shop. I love going through sites after sites, viewing the products, oohh ahhh at them, even if I end up buying nothing. It is so therapeutic. Haha. When I find that doing this is therapeutic, I know I'm addicted. Gah. It is as addictive as Pinterest, maybe even more so. I've been purchasing mostly baby stuff such as personal care items, toys and baby gears online. And I've bought books of course, and also supplements and vitamins online. I haven't got around buying clothing yet. Still worried if the size doesn't fit me well. But I guess someday, I will do it. Soon. 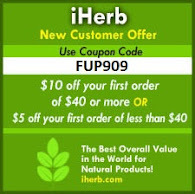 - iherb (Vitamins, Supplements, and Health Products) - this is where I bought those organic stuff i blogged about. So what are your favourite online shopping sites? Please share. LOL... I can relate to the piling up my shopping cart and then ending up not buying anything. But sometimes it's a rather dangerous game to play... buying is just a click away. Etsy is also my big addiction. I would also add www.Yesstyle.com to the list... also got free shipping... and the choices of outfits and accessories are endless. Yesstyle! Ive heard of it but nv really browsed the site before. Thanks for reminding me and now Ive got an extra site to spend my hours on. Haha.